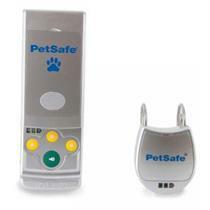 The pendant style receiver fits on any collar up to 3/4" wide. Smooth ram-horn loops instead of contact points are more comfortable for your dog and slide easily onto your pet's normal collar. The cell-phone-slide remote is small and compact, making it easy to slide into a purse or pocket.